Idlib (Syria) (AFP) - The frail cries of four-month-old Wahida made the rescue worker who carried her out of the rubble in Syria's Idlib break down in sobs. The full story is one of tragedy. "I was in the shop when the airplane began carrying out air strikes," recalls 32-year-old father Yehya Maatouq almost matter-of-factly. He was speaking to AFP on the destroyed rooftop of his home in the northwest city of Idlib, clearing away cement and debris from Thursday's fateful raid. "Right after the strike, I ran home and found our whole neighbourhood had been turned upside-down. I went into our house and didn't find anyone there." 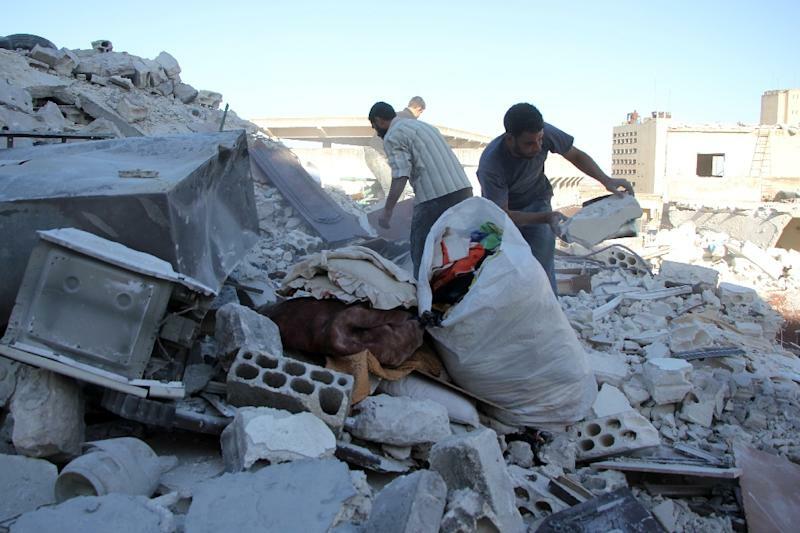 Suddenly, Maatouq heard his wife's muffled voice from beneath the ruins of their second-storey home. "I looked everywhere until I lifted up a rock and I found her face underneath. I began to dig around her -- thank God, she was awake and talking to me." Along with the White Helmets rescue force, Maatouq then frantically went in search of his two daughters, four-month-old Wahida and three-year-old Sinar. "I began digging in the bedroom and I found my daughter (Wahida)'s hand. When I reached her, she just grabbed my finger." As the White Helmets pulled back the large pieces of cement that had buried Wahida, her exhausted father lifted her tiny body out. "They took her to the hospital and thank God she was alive," Maatouq says. Footage of the rescue posted by the White Helmets showed a volunteer holding up the tiny baby, her bright yellow outfit caked in dust, as he marches out of her destroyed home. The unidentified volunteer cradles Wahida in his arms as he sits through a rocky ambulance ride, weeping over her as she coughs and grasps at his collar. "We've been working for two hours to get her out from under the rubble and thank God, it turns out she is alive," he says through his tears. But back at Wahida's home, her father was left grieving over her older sister, Sinar, and his own mother -- both killed in the raid. "My second daughter, the wall had fallen on top of her. She was dead. I wish I had lost everything else but not lost her," he tells AFP, his voice breaking. Maatouq, his wife, and Wahida moved in with relatives on the edge of Idlib while they try to repair their home. 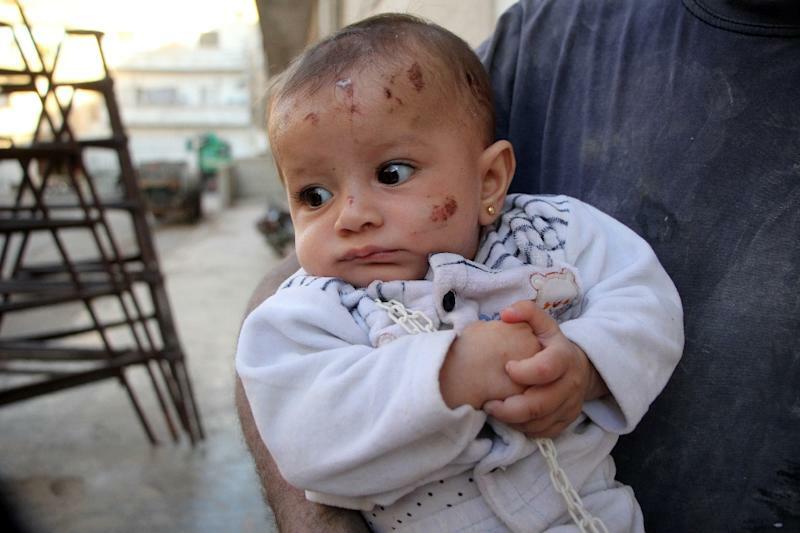 Wahida has scratches and bruises across her forehead, but she sits calmly in her father's arms, her dark eyes looking up towards the sky. Asked what he hopes for his future, Maatouq sighs. "It's up to God. We can't even handle what we've been through already," he says.